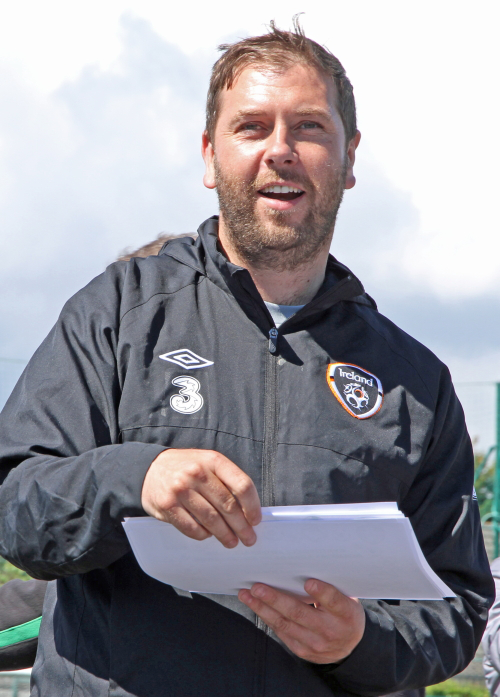 Cabinteely FC is deeply saddened by the passing of Andy Rice. Andy was a coach and mentor in Cabo for many years and is a nephew of our colleague Martin. We would like to extend our heartfelt condolences to his wife Janice, his two children, Lewis and Connie, and to his extended family. We ask that you keep them in your prayers and thoughts at this very sad time – see details. 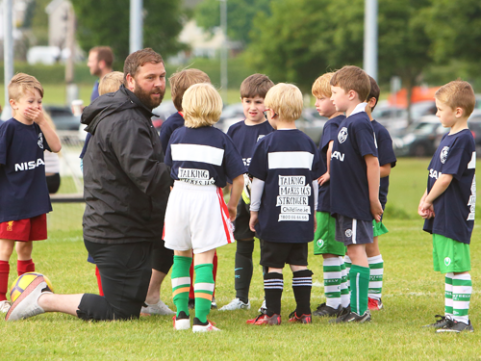 Andy is pictured above in his favoured environment at last year’s Mini World Cup as he really gets in tune with his young charges. Read also some more lovely tributes to Andy on Dublin Live. Do include Andy and his family in your thoughts and prayers.